Styx: Shard of Darkness is a budget game. That fact is made apparent as early as the opening cut-scene. The animations aren’t exactly fluid, the textures and models are substandard, and the voice acting is somewhat tolerable thanks to the exaggerated performances. Following this, the gameplay also reflects the lesser budget with - if not awkward - fairly strange controls that aren’t helped by the jarring animation transitions that make it difficult to work out whether you are actually able to grab onto a certain ledge. Yet I loved the game nonetheless. As of late, games for the most part fit into two categories: Triple A releases with monstrous budgets and a physical release; Indie releases with tiny budgets and a digital release. This is a rather large generalisation, I’ll admit, but I’m addressing this in broad terms. 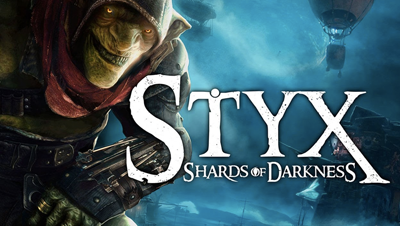 Games like Styx: Shard of Darkness (large projects with small budgets) were something of a frequent occurrence on the PlayStation 2, and were still somewhat prevalent last generation. They seemed to have disappeared as of late in favour of the Indie releases I mentioned prior. I bring this fact up because, as a budget game, Styx: Shard of Darkness demonstrates how certain aspects of a game can be sacrificed in order to refine more key aspects. In the case of Styx I mentioned that the animations, voice acting, and visual fidelity are lacking. These flaws might be incredibly problematic in a different game that relied on several shallow features to build up the gameplay. Styx gets away with it, however, because of one specific reason; its levels. If I were to guess, I’d say that the majority of the budget for Styx: Shard of Darkness went into crafting the levels. Each one is a distinct, vertically stacked, maze of ledges, crawlspaces, ropes, and roofs, and it’s up to you to decide how you want to use them. There are few games that I feel the compulsion to replay a level when I’m done, yet Styx had me retrying nearly every level upon completion, and sure enough, each attempt was so drastically different in terms of which route I took that I realised that Styx: Shard of Darkness had truly excelled at achieving what it had set out to accomplish. I wasn’t terribly engaged in the story. The acting would make me wince. The controls seemed arbitrarily complicated at times. The vistas were admittedly picturesque, but overall the graphics were lacking. It’s an odd thing to recommend a game based solely on one feature, though in truth the levels work to enhance what is already a great stealth system. The fact is that I cannot deny how much this one feature elevated Styx: Shard of Darkness above merely being fine. If you’re a fan of stealth, of achieving the objective in a way that suits you, and don’t mind an unrefined whole, then get sneaking.